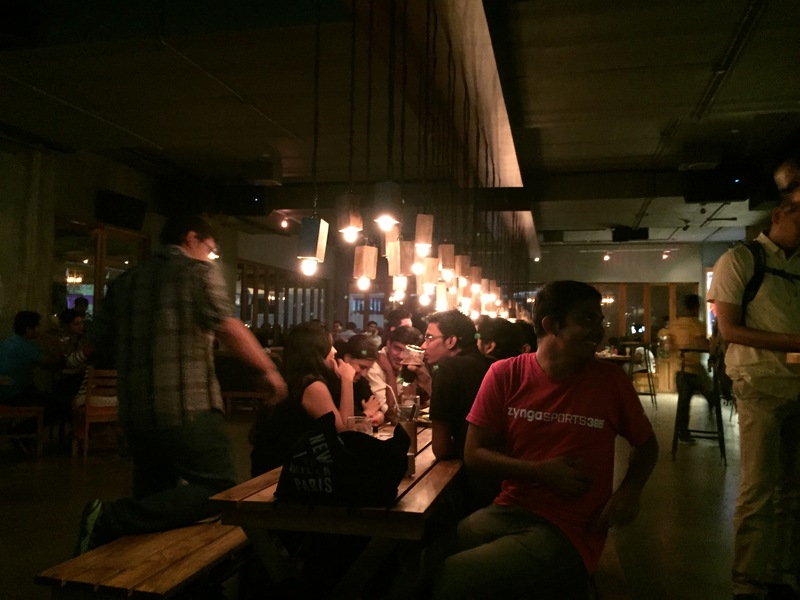 bangalore drinks: beer + food at arbor brewing company. 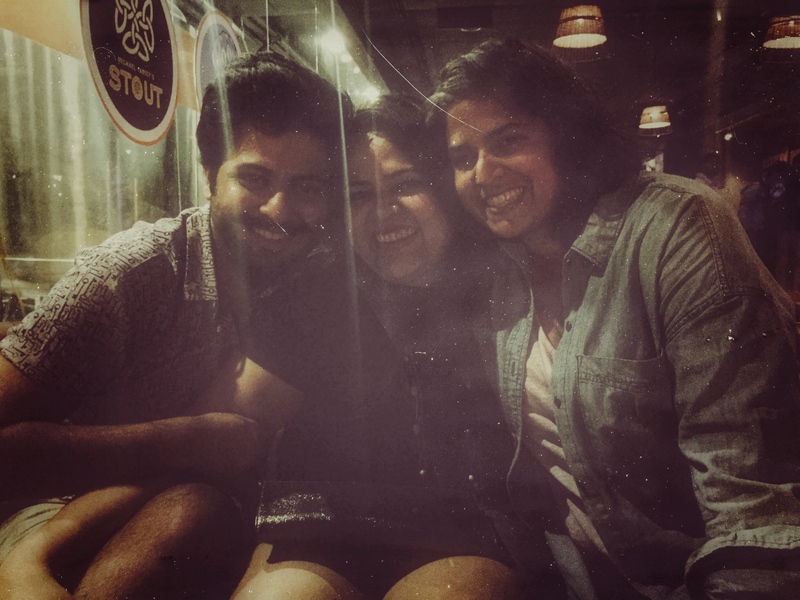 my dear sweet priyanka and deboo were in town last week, and on thursday night i met them at arbor brewing company for a drink and some yummy food. although i have been hearing about arbor for a while – they were a client of a friend prior to their opening – i had never before made my way there. i’m so glad p + d suggested it, because i had a great time and may have fallen a little bit in love with the place. it doesn’t get much more adorable than these two. bangalore, india. march 2015.
the beer. now, for anyone who knows even the most basic things about me, you will remember that i am not a beer drinker. i have never really taken to the taste, and for the last three years the only beer i would drink was jackalope’s red rompo. it remains my favourite, but i have expanded my mind and am open to trying out a few of the offerings at the craft breweries that seem to be popping up all over the place, even in bangalore. at arbor i tried the brasserie blonde, hailed as their spiced ale, and rather liked it. next time i go, however, i think i’ll go for the watermelon beer [proper name unknown]. it is not on the regular menu, but maanvi remembered it from a prior visit and so requested it. arbor also does seasonal brews, including a mango beer during the summer months. i’m pretty sure i will have to try that out once the mangoes are at their best. 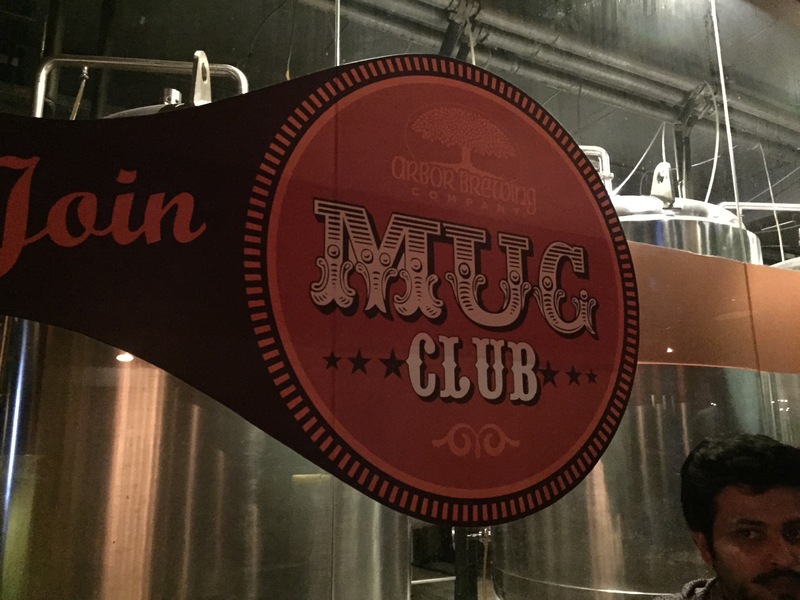 join the mug club at arbor. bangalore, india. march 2015.
the food. the menu boasts a combination of fantastic, heart-clogging starters as well as an array of salads, pastas, sandwiches, burgers, and pizzas. when i arrived priyanka, deboo, and maanvi were finishing up a plate of incredible chilly cheese bacon fries. they are really heavy, so i am pretty glad i showed up for the tail end of those, otherwise i don’t think i would have had room for anything else. we also had some black-bean nachos with chicken and the flaming chicken, both of which were delicious. i was still hungry, so i opted for some spaghetti arrabiata with ground beef meatballs, and it was so good i nearly licked my plate. it was a lot, though, and i don’t think i would have been able to finish it without the help of the others. i would say the only thing that didn’t totally wow the group was andy’s southern fried chicken sandwich. i didn’t taste it, being a fried chicken snob and also being pretty occupied with my spaghetti – but the others said it was good but not great. there were lots of other options on the menu that i would like to try out on a return visit, especially the pizzas and the fajitas. flaming chicken starter at arbor. bangalore, india. 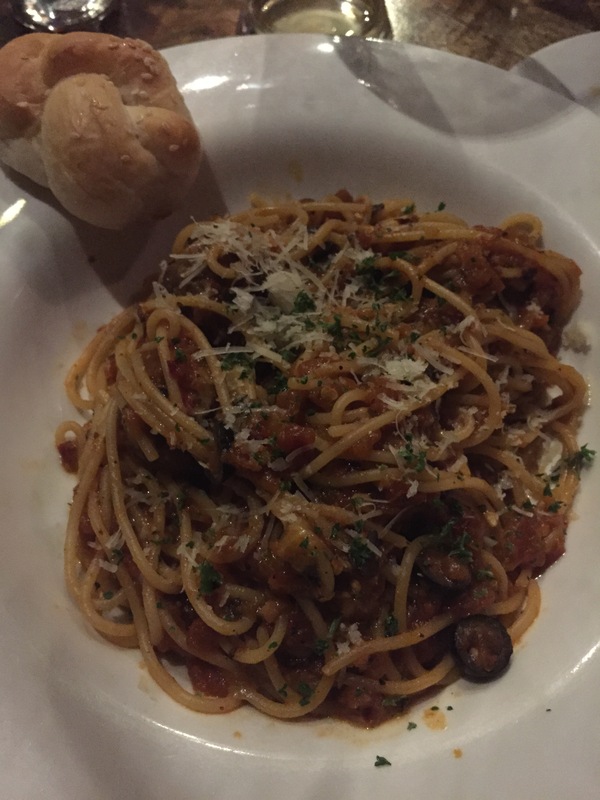 march 2015.
delicious spaghetti arrabiata at arbor. bangalore, india. march 2015.
the setup. rather than being just another square-shaped pub, arbor is one long, wide rectangle that seems to stretch for days. 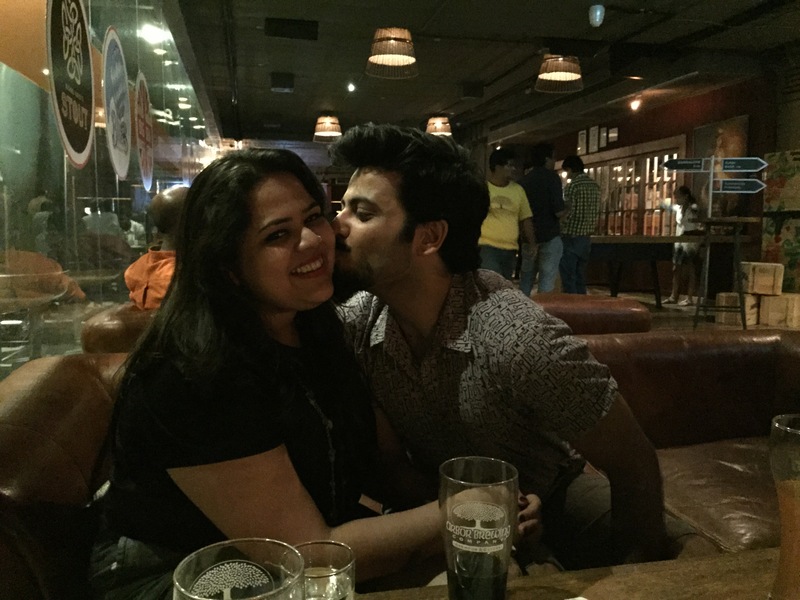 there is a small wooden dance floor area, games such as foosball and carrom available, and a variety of booths, comfortable leather couches, long wooden tables, bar stools, and regular tables with chairs to choose from. it’s lots of exposed dark wood and dim lighting, both of which i love, so i immediately felt relaxed when i walked in. we were there on a thursday, so although it was full, it didn’t feel crowded. i imagine that is not the case on a friday or saturday night, so if you are interested in checking it out be sure to plan your visit accordingly. we had two nice long leather couches to ourselves, and because the place wasn’t bursting at the seams we were able to just hang out without feeling like we were holding anyone up. a look at the long table behind us at arbor. they were having a roaring time. bangalore, india. march 2015.
the music. i am very firmly a classic rock girl, and i love any pub that plays the old classics. arbor falls into that group. the music was a perfect level to sing and bop along with without being overpowering and preventing casual conversation. they probably have a different playlist for the weekend when people are looking for more of a club-like atmosphere, but i was pretty happy with our thursday night selection. location: 3rd floor, allied grande plaza [above a nalli showroom]. diagonally opposite garuda mall, magrath road. bangalore. entrance is around the side and can be accessed via lift or stairs. landmark: garuda mall. it’s about a 2-minute walk. serves drinks: yes. they are known for their home brews, but they also boast a full bar. wifi available? yes, although i didn’t use it so cannot speak to speed or reliability. what we ordered: three brasserie blondes; one bangalore bliss; two irish stouts; two watermelon beers [drinks]. chilly cheese bacon fries; black-bean nachos with chicken; flaming chicken [starters]. spaghetti arrabiata; southern fried chicken sandwich [main course]. our bill: rs 6,250 split between five people. a little extravagant, but well worth the price. 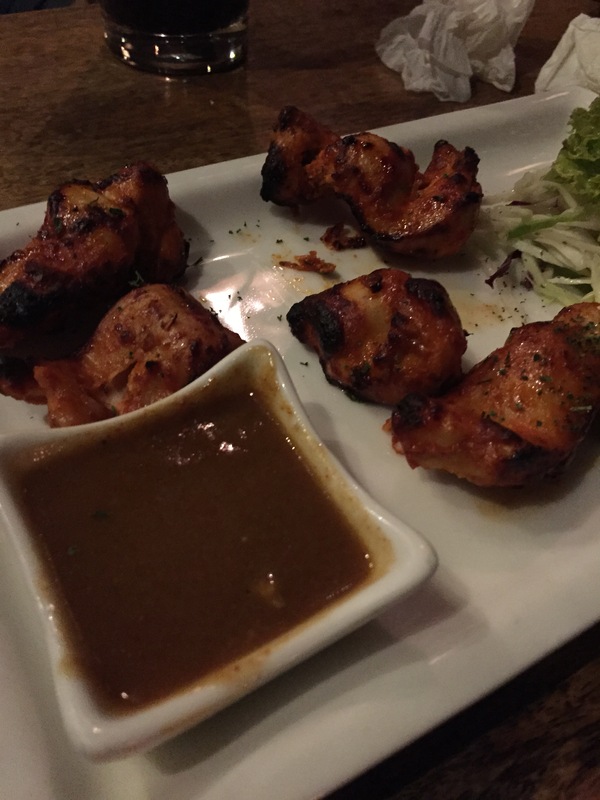 my zomato rating: i got a little carried away and rated it 5 / 5. average rating is 4.5.
fun facts: it was started by a frequent visitor to the original location in ann arbor, michigan, who wanted to bring it to bangalore when he moved here after graduating. has televisions mounted throughout to show various sporting events. to keep in mind: expect big crowds on wednesday, friday, and saturday nights. the main area is non-smoking, but there is a smoking area. will i go back? pretty sure that is a resounding yes. loved getting to see these two lovelies. bangalore, india. march 2015.
who out there has been to arbor? let’s grab a drink together soon! weekly roundup 05 // 2015.
book number seven of 2015: the unimaginable [dina silver].